Stinging insects include all different species of wasps and hornets. They build their nests in trees, shrubs and other protected places, as well as in man-made structures, including sheds, attics, under decks and in the eaves of a building. 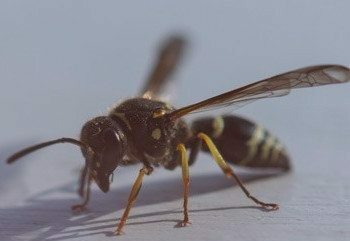 Wasps and hornets belong to the family Hymenoptera and are just a few of the stinging insects you can expect to come across throughout Wisconsin from mid-summer to early fall. Paper wasps – measure from 3/4 to 1 inch long and can be many different colors depending on the species; including black, yellow, orange and brown with grayish colored wings. They look long-legged and possess a lance-like stinger that gives them the opportunity to repeatedly sting their victim. Yellow jackets – measure between 3/8 to 3/4 inch long and have banded yellow and black abdomens, or white and black abdomens, depending on the species. They have shorter legs than and wider abdomens than paper wasps but possess a similar stinger. Bald-faced hornets– despite their name, these insects are actually a type of wasp and they measure 5/8 to 7/8 inch in length and are usually black with a white pattern on their face and white stripes on their thorax. Their stinger is similar to that of the paper wasp and the yellow jacket. Wasps and hornets are most likely on your property looking for a food source or nesting area. These insects are opportunistic builders and have probably found a safe haven in your backyard as well. The queen will emerge after the winter months and look for areas to nest in; depending on the species they will eat pollen, nectar and other insects. The queen will also look for an area with a water source such as a pond, birdbath or pools. Yes, wasps and hornets can prove to be dangerous to your health and the health of your family and your pets. Most stinging insects will not sting you unless they feel physically threatened, or you venture too close to their nest, however some species have been known to sting even when not threatened. 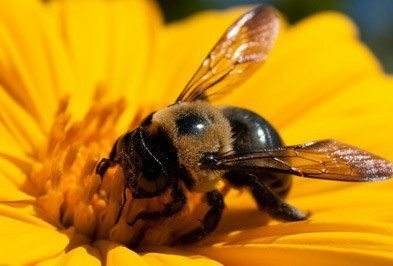 Every year in the US, more than 40 deaths are caused by the resulting reaction from the sting of a bee, yellow jacket, wasp or hornet and it is believed that 10 out of every 100 adults has some kind of large and localized reaction to a sting. You may also not know you have an allergy to these insects until you get a multitude of stings, which may cause serious swelling, redness, pain and eventually shock. HOW DO I GET RID OF WASPS & HORNETS? Contacting a pest control professional in Wisconsin is the best way to get rid of wasp and hornets because pest control professionals have the tools and the knowledge about these pests to make sure that they are removed from your property safely and without harm to you or your family. Our Home Protection Plan can help you keep wasps & hornets away from your home or business in Wisconsin. No. Getting rid of wasps and hornets is not a task you should handle on your own. There are some Do-It-Yourself methods and products that you can buy at your local hardware store, but these are often ineffective and if they are handled or applied incorrectly, they can be extremely dangerous to your health and may have no effect on the stinging insects you are trying to get rid of. The best and safest way to get rid of stinging insects from your home or business is by contacting the professionals at Wil-Kil Pest Control in Eau Claire, Menomonee Falls, Appleton or Milwaukee. It is our goal at Wil-Kil Pest Control to assist you with your pest problem as quickly as possible so that you are caused no inconvenience. 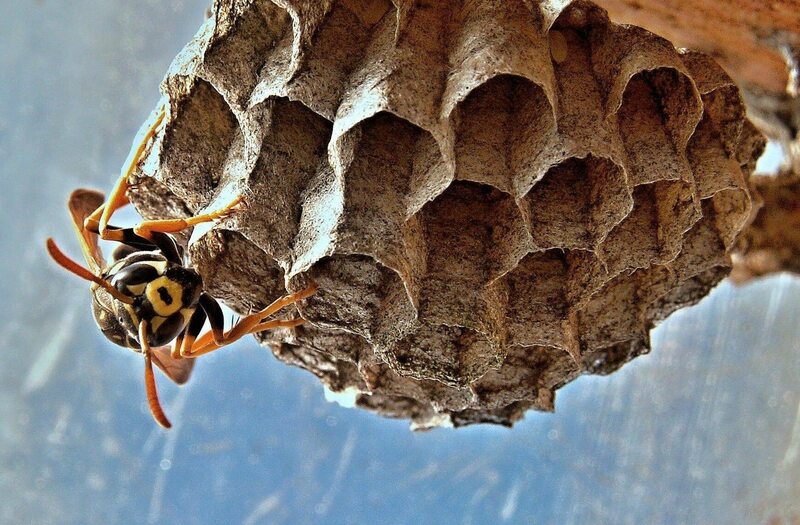 We want to make sure that your wasp & hornet problem is taken care of swiftly and safely and because of that, we will make every effort to be on your property to take care of your problem within the same day you call, or the very next day. Unfortunately, there is very little you can do to avoid stinging insects building their nests on your property. You can keep a look-out for signs of nests in the places they like to build, like under eaves and decking, but there is nothing you can do to be sure they won’t build there. 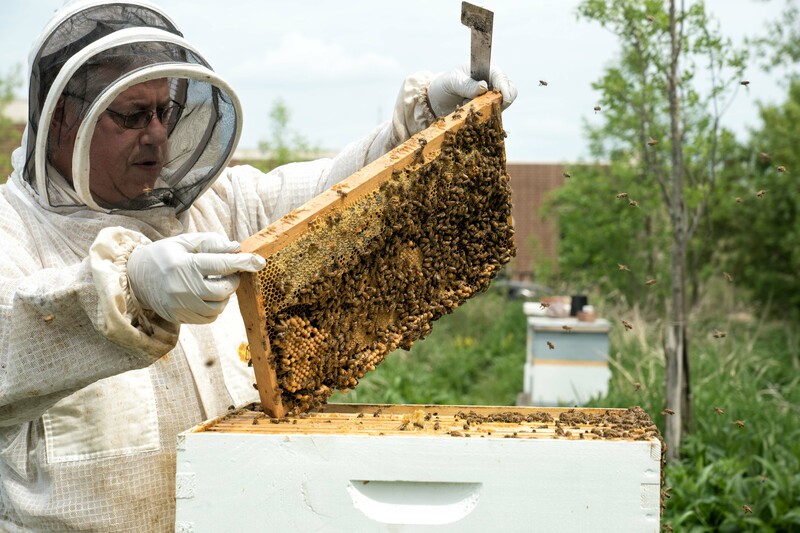 As soon as you become aware of a stinging insect nest, the best thing you can do is contact us, your local Milwaukee pest control professional, for immediate assistance in removing the nest.